Understand what healthy eating means for you. Get access to clear, insightful and practical solutions. Nourish your health and enjoy your food. 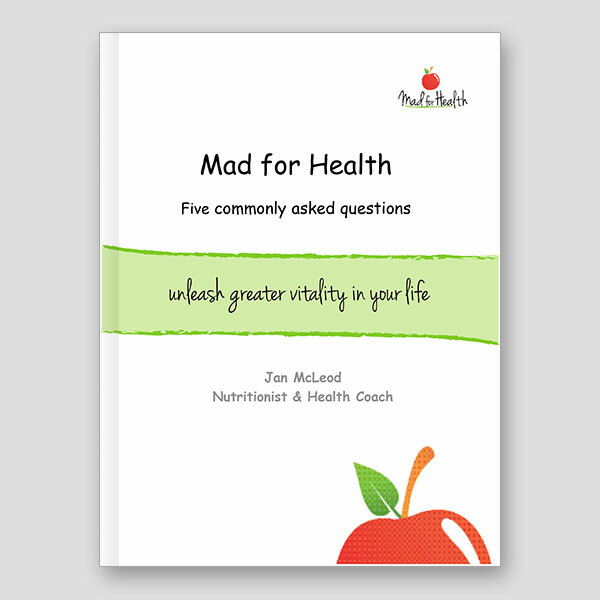 Understand how to navigate through eating change. You receive a tailored nutrition plan and the education, guidance, tools and inspiration your required to embed sustainable healthy eating. An end to foggy thinking. Putting an end to sugar cravings? Escaping the draining cycle of eating and bloating? Ending your search for the holy grail of weight loss? Better manage the issues related to your health challenge? (includes fertility, insulin resistance, type-2-diabetes, thyroid, cholesterol, arthritis, food intolerances, digestive disease)?Inclusions? Your investment is $460 for a program valued at $530. You will be contacted within 48hours to set up a convenient time for your first appointment. For info on this and more please read Personal Clients FAQs. One free 15 minute check-in consult (via phone) is included. Recommended supplements or functional testing are not included in the above plan.